Who says organization and style don't go hand-in-hand? 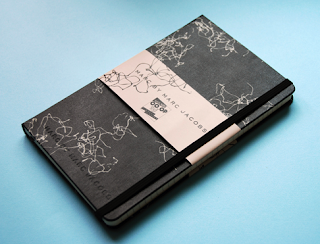 Moleskine, the notebook of choice for all savvy writers, got a fashion-forward makeover courtesy of my favorite designer, Marc Jacobs. The limited edition notebook celebrates Barneys Co-Op's 25th anniversary and will likely be sold out within days. 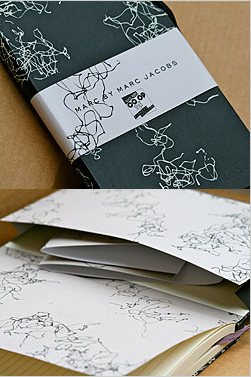 The Marc Moleskine features a modern pattern specially styled by Marc, silkscreened on the cover and reproduced inside. 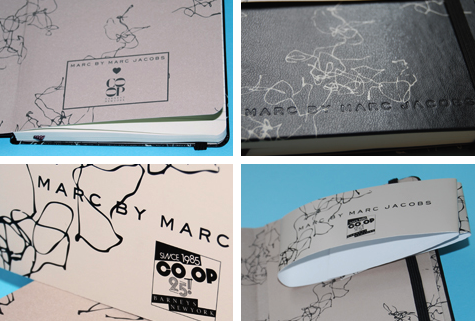 The must-have item is available at all Barneys and Barney Co-Op stores, and through their website beginning October 1.